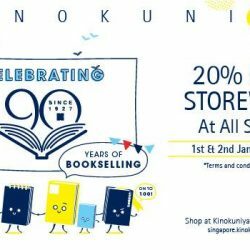 Last day to enjoy 20% off storewide at all Kinokuniya Singapore stores and online! Shop online NOW before promotion ends today! To inaugurate Kinokuniya Singapore Main Store as your preferred READING NATION, we are pleased to offer 20% off storewide exclusively at our main store from today till Monday, the 29th of August (today), just for Kinokuniya Privilege Card members! In celebration of National Day and Kinokuniya Singapore Main Store’s 17th anniversary, enjoy 20% off storewide at all Kinokuniya stores today and tomorrow! This promotion is applicable for online orders too, shop now! It's WEBnesday! 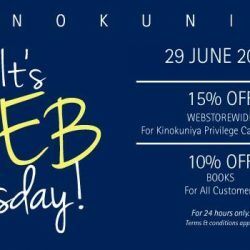 For today only, all customers enjoy 10% off books exclusively at Kinokuniya Webstore! 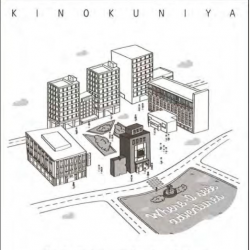 If you are a Kinokuniya member, you get to enjoy 15% off! 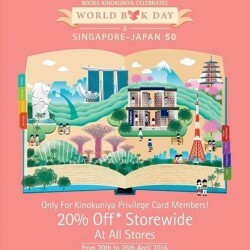 This April, in celebration of World Book Day and the 50th Anniversary of Singapore-Japan diplomatic relations, Books Kinokuniya is proud to present the ‘World Book Day & Singapore-Japan 50’ promotion for Kinokuniya Privilege Card members. Enjoy 20% off storewide at all stores from 20 to 26 April 2016. Promotion is valid at retail stores only. 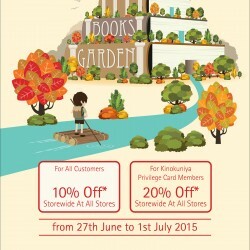 Enjoy Kinokuniya Books Garden Promotion, valid till 1st July 2015. So, what are you waiting for? Come and hurry! While stocks last. 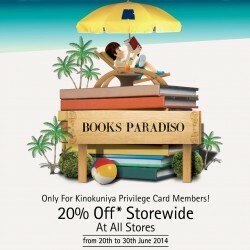 Kinokuniya Privilege Cardmembers enjoy 20% off storewide at all Kinokuniya. Enjoy 10% off stationery, fossils, gemstones and minerals. Not applicable to goverment publications, 8-Days, I-Weekly, You-Weekly, newspapers, gift vouchers, nett-priced items and all other promotions or discounts. Venue: Kinokuniya - Bugis Junction, Jem, Liang Court Shopping Centre & Takashimaya S.C.
Kinokuniya brings you 10% to 20% off Book Sale from 1 to 4 May 2015. Enjoy! 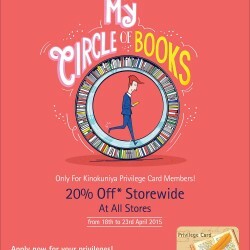 Kinokuniya Privilege Cardmembers enjoy 20% off storewide at all Kinokuniya. Enjoy 10% off stationery items at Kinokuniya Singapore Main Store and Kinokuniya Liang Court Store.While stocks last. Terms and conditions apply. Visit in-store or website for more details. 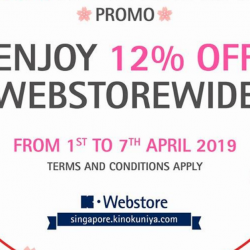 Venue: Kinokuniya - Bugis Junction, Jem, Liang Court Shopping Centre, Takashimaya S.C.
Kinokuniya offers 20% off Storewide for Members, until 23 March 2015. Only for Kinokuniya Privilege Card Members! Enjoy! 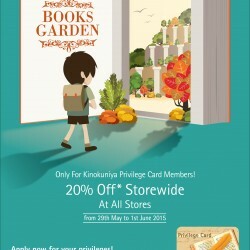 Kinokuniya is offering: Get 20% off for Kinokuniya Privilege Cardmembers and 10% off for all customer. Not applicable to goverment publications, 8-Days, I-Weekly, You-Weekly, newspapers, gift vouchers, nett-priced items and all other promotions or discounts. 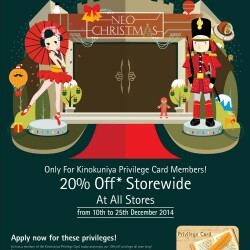 A Neo-Christmas Promotion 20% off Storewide for Kinokuniya Privilege Cardmembers! Kinokuniya's Book paradiso sale is here! 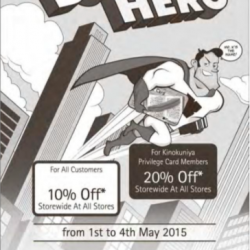 Kinokuniya Privilege Card Members can enjoy 20% Off Storewide at all Kinokuniya bookstores in Singaopre!